If you’ve never cooked tofu before, this white, blocky, and relatively tasteless food might seem intimidating. However, it’s actually quite easy to prepare delicious savory and sweet tofu dishes. Here are a few tips to get you started. Before you prepare tofu, you need to know which type to use, as tofu comes in consistencies including silken, firm, and extra firm. Recipes should indicate which type is needed, but in general, firm and extra firm are used as substitute for meats while silken is used in place of dairy products. Additionally, tofu is often packaged in water and must be drained and pressed. You should drain tofu in a colander and either pat it dry with paper towels, or—for a crispier end product—wrap it in paper towels and let it sit between two plates with a weight on top for an hour. You don’t need to follow a recipe to make delicious fried or baked tofu. 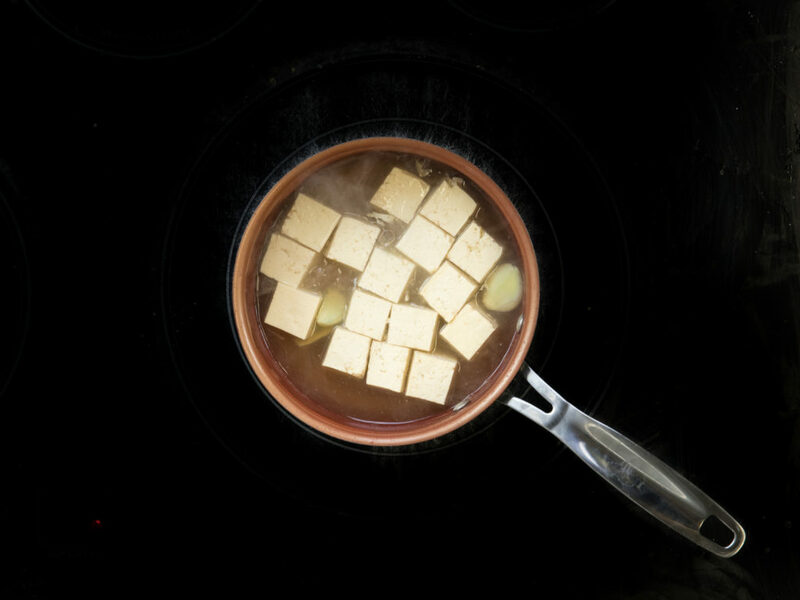 Begin by draining and pressing a block of firm or extra firm tofu and cutting it into cubes or rectangles. If you prefer frying, heat some olive oil in a pan and toss the tofu along with your favorite spices until it starts to brown. You can use seasonings as simple as salt and pepper or get more creative. To bake, coat the tofu with oil or cooking spray, add your spices, and place it on a tray lined with parchment paper. Cook at 400 degrees Fahrenheit for 30-40 minutes, flipping halfway through. 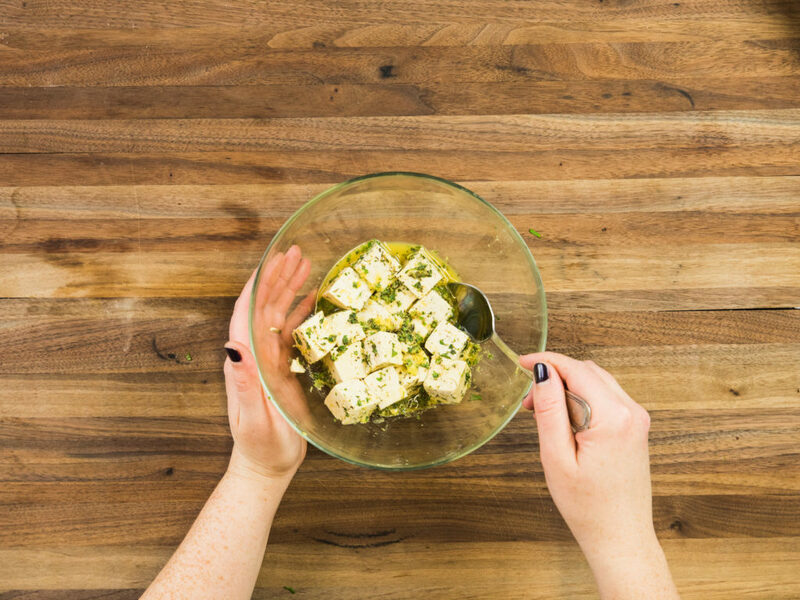 Add some flavor to tofu before you cook it by soaking it in a marinade. Check out this wide variety of marinades from One Green Planet. 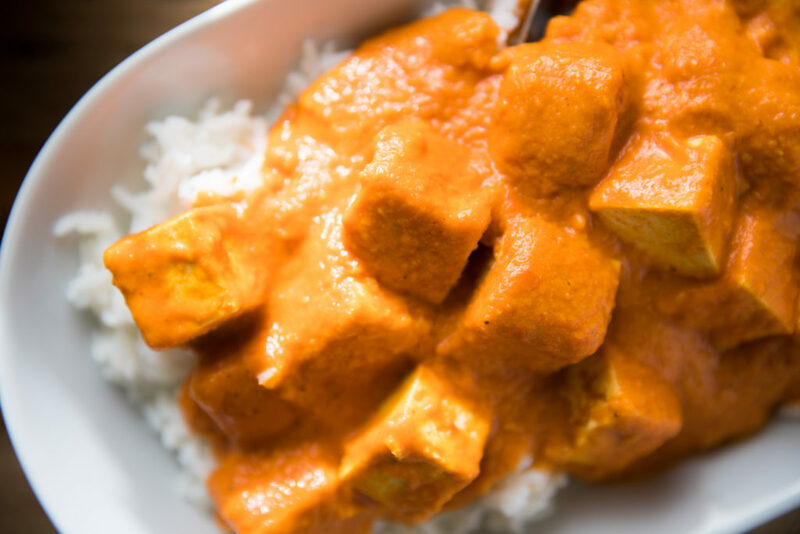 Coat, cook, or dip your tofu in decadent sauce, from simmering it your favorite barbecue sauce to stirring up some carrot ginger dressing or Chermoula sauce. Make a crispy breading or batter or using bread crumbs or even cornflakes, like in this recipe for tofu nuggets from One Green Planet. Tofu scrambles are not only quick and easy to make but also offer healthy ways to begin the day. To start, rinse and drain a package of firm or extra firm tofu and crumble it up with your hands. Sautee any veggies you want to include in the scramble in a pan, and then add the tofu along nutritional yeast, salt, and a few spices. Find out more in this easy scrambled tofu recipe from I Love Vegan. Silken tofu has many delicious uses, one of the best of which is as a substitute for cream in mousses and pies. Since tofu has very little taste on its own, it offers the consistency of cream while letting other flavors shine through—and adding a hearty dose of protein to your dessert. For examples of easy-to-make tofu-based mousses and pies, check out this pumpkin pie mousse from Clean and Delicious, no-bake vegan chocolate pie from Pinch of Yum, and tofu peanut butter pie from the spruce. Note: you can drain silken tofu but should not press it. Just pat it dry if it has excess water on it.